Dec 13, 2002 – Starting from today all registered users of RichView Package get a 10% discount when registering llPDFLib – pure Object Pascal library for creating PDF documents. Find more about llPDFLib at www.llion.net. Dec 8, 2002 – Major update: RichView Package 1.7 is ready for downloading. RichViewActions is a free add-on for RichView package allowing to create customizable, attractive and solid user interface for a word processor with no coding. The actions include a set of pre-built dialogs. All dialogs can use Windows XP themes (visual styles). Besides, the actions can be applied "silently", allowing to implement your own user interface. 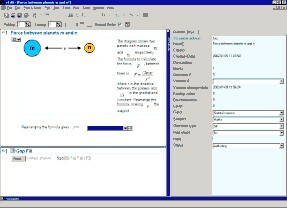 Dec 8, 2002 – New: RvHtmlImporter by Carlo Kok – freeware component importing HTML files RichView. Dec 8, 2002 – update of RvXML by Jiri Banzet – freeware component for saving, loading and inserting XML document in RichView. You can download a version for C++Builder 6 from the link above. Feb 2 2002 – Update in third-party components for RichView. fixes in saving embedded Delphi controls. SyntaxRichViewEdit 1.o by I.Afanasyev (new). The component (inherited from TRichViewEdit) with the basic syntax highlighting abilities. Syntax highlighting is based on RichViewEdit's search and replace functions, so it cannot be used for huge documents. But for not very large documents the performance is more than acceptable. Jan 24 2002 – Trial versions are updated to v1.6.10. RichViewXML is updated as well. FoopChat by Willow Ridge Software. 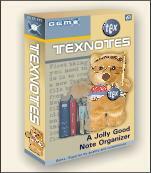 One more great application was created with our components – TexNotes by Univision – the jolly good note organizer. And even one more – The Beatles Forever – a free hypertext electronic songbook. Jan 24 2002	- The web site is completely recreated! Now it has a new stylish look, enlarged section describing the component features, and the last (by may be the most important) – the support news groups! News groups can be accessed both by special news clients (such as Microsoft Outlook Express) and by Internet browsers through the web interface. You can see images of some pages in our old design in the Site Museum. Uji Family Pack by Syarikat Home Multimedia Program – an educational tool designed for families and teachers who are interested in making extra lessons for their children.